Medieval literature encompasses a broad sweep of people, cultures, and styles. 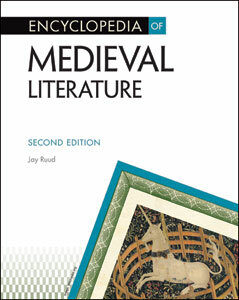 Encyclopedia of Medieval Literature, Second Edition offers a comprehensive account of the literary works, writers, and concepts of the Middle Ages, from 500 to 1500 CE. Covering not only European literature but also that of India, the Far East, and the Muslim world, this invaluable A-to-Z guide contains approximately 700 entries, making it one of the most inclusive single-volume references of its kind. This new edition contains a number of important updates reflecting recent scholarship, including new entries on the works The Book of Fortune's Mutation, the Ordinalia group, the morality play Wisdom, and the N-Town Mary Play. Literary and Historical Terms: King Arthur, Peasants' Revolt, terza rima, Realism, ballade, and Great Schism.